Inspired by this recent rumor thread on airliners.net, I was thought it would be really cool to mock up a preliminary illustration of a United Airlines 787-8 in the 1980′s Saul Bass livery. I was a bit skeptical at first, but after looking at it for a little bit, I’ve got to say that I’m really liking it. I really hope UA does this! 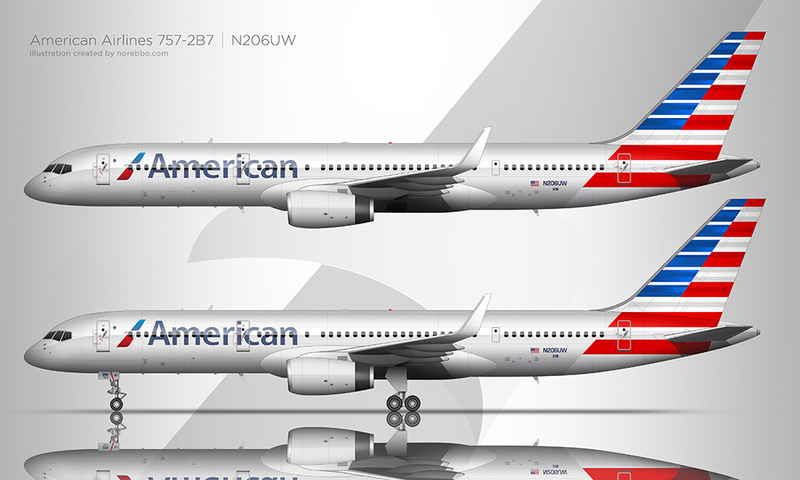 Creating these side-view drawings was fairly straight forward, but I did have a bit of difficulty placing the main United Airlines titles at the front section of the fuselage. The problem is that the Dreamliner’s windows are very high in the airframe, which pushes cheat-line colors really high as well. 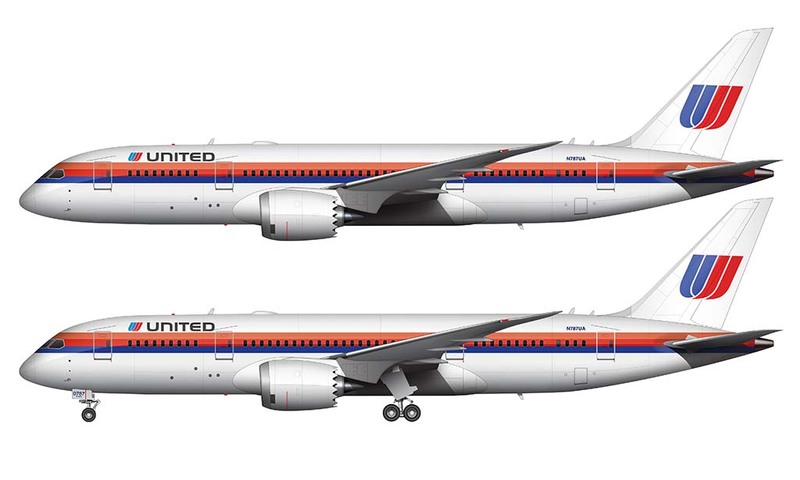 The orange stripe in the middle is historically where the windows have been positioned on other aircraft in the United Airlines fleet, so that left a very small vertical space for the main titles. I would have personally liked to make them larger, but there’s just no room to do so. I’m really glad that airlines see the value in these retro liveries. While this Saul Bass United Airlines 787 is purely a rumor at this point, I really hope it becomes a reality. Die-hard 1980′s airline nerds like me would really like to see it!